Songs that can be used for Radio Tv Film Gaming all made by me and royalty free. 4 Songs will be in a normal zip folder that you can unzip. For more music email me about deals we can work out to do business in the future. I am a graduate student of the Digital Media Arts and Engineering Masters program at Louisiana State University. I received my Bachelors of Arts Degree in 2014 from the University of New Orleans as a Music Studies Major. I have always been drawn to the area of electronic sound production and have been studying electronic music for over ten years. I studied digital audio software and techniques, audio programming, electronic music composition and collaboration media, as well as, music production. Also I’ve gained a great deal of understanding in the film industry working at Louisiana Media Productions. The DMAE program was designed to teach leadership skills, creativity, technical prowess and design excellence in digital media. When I started my journey at LSU I was introduced to complex software tools such as Maya, Nuke, Unity and Presonus Studio one. I was able to work with teams in a studio environment on consequential projects and maximize my career potential in a competitive field. So far this year, I have worked on a number of projects. I scored and produced sound design elements for the documentary “Redefining the Word”, directed by Jalea Jackson, which won best documentary at the Louisiana State University Take 2 Film Fest. And I mixed and mastered the film “The Things We Have To Fear”, directed by Jalea Jackson, which gained an honorable mention for best drama and best cinematography at the Louisiana State University Take 2 Film Fest. I also work closely with the Experimental Music and Digital Media program and we are collaborating with the LSU Dance Ensemble. I am combining vocal and abstract audio recording techniques to produce sonic art that the dancers can perform to. MoreOver, I created an interpretation of a Franz Kline painting using Google Tilt Brush and Unity 3d. And I also used traditional media such as charcoal and paint to complete the Franz Kline painting. Conjointly this summer , I worked with Death Pixel Games as their Technical Sound Designer and Music Composer for an upcoming video game. During my twelve week internship, I was able to explore different aspects of sound. The best part about working with the Death Pixels staff was that I was able to learn and improve my abilities as a sound designer. 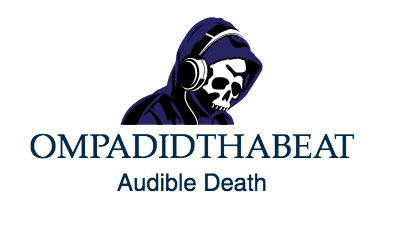 In conjunction with improving my abilities as a sound designer, I was able to develop new skills in sound design, but I also developed a successful working relationship with everyone on the Death Pixel staff. As a Technical Sound Designer for Project Dreamland, I was given several tasks. I was responsible for creating a number of sounds for the game that would establish the overall soundscape for the Project Dreamland video game. My task was working on the games score. Also, I created a number of unique sound effects and edited common sound bites that are in the public domain for some of the conspiracies that the game addresses. I was able to accomplish my goals by having daily scrums and having team meetings. I worked closely with the Creative Director and a range of other staff to create the atmospheric sonic textures and sound effects. I worked 40 hours each week exploring and developing electronic music production beyond normal composition and orchestration methods. Much of the success in completing the goals were due to me being able to explore the different aspects of sound. My love for music and the universe made me connect more with the game. I have also participated in this years red stick festival. I have had opportunities to get my name heard in the music, movies and game industry. I gave a speech at the LSU Game symposium, I premiered my Unity Blackhole project entitled "Lost Nebula" at the Irene W Pennington Planetarium, and received standing ovation from the crowd that attended. As a final note ,my plan for 2017 is to have the opportunity to work within the music, film and game industry because I can learn so much more and accelerate my career.